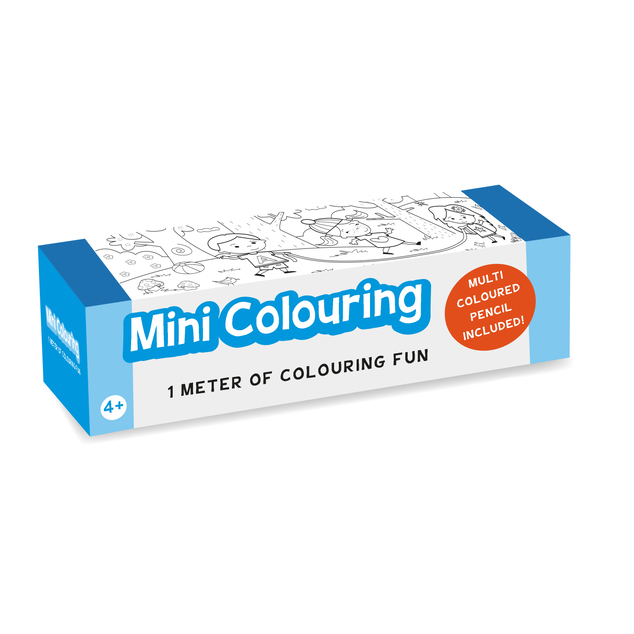 This small box contains 1 meter of colouring fun! 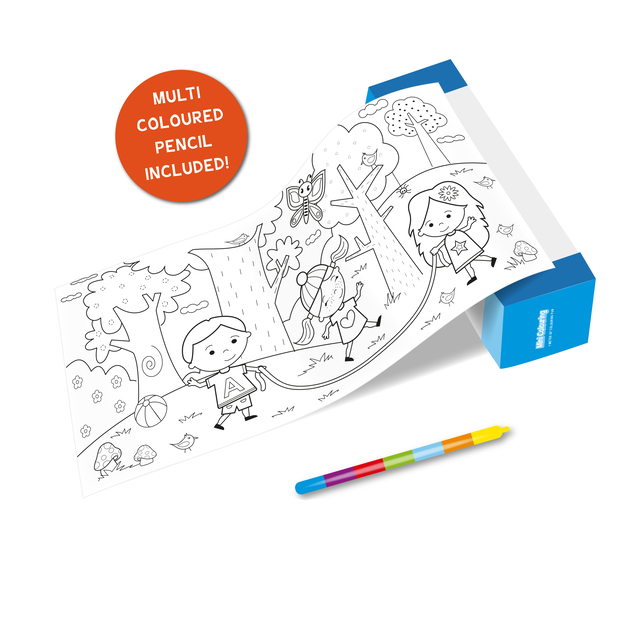 Simply unroll as you draw. Finished the drawings on the front? simply re-roll and start colouring and playing games on the the other side.